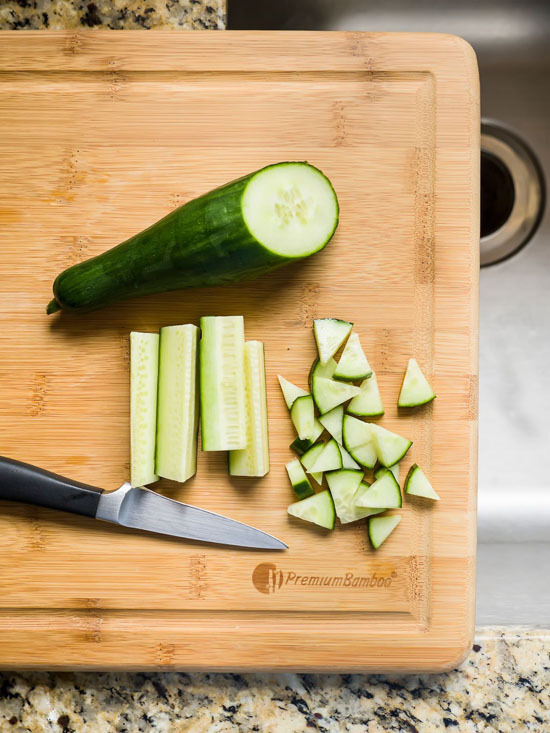 For the love of cooking, having a large cutting board means that you have spacious area to prepare your meal. 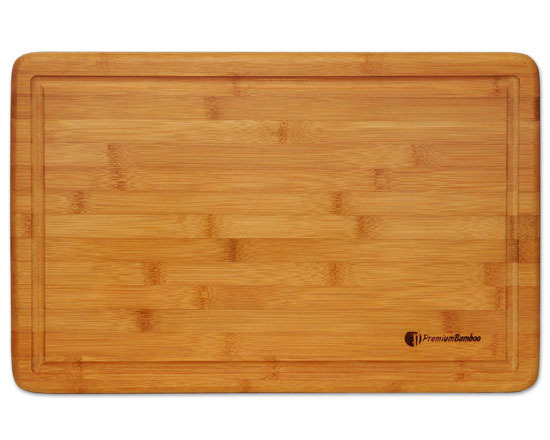 For green conscious people, you might prefer to use this Extra Large Bamboo Cutting Board from Premium Bamboo. 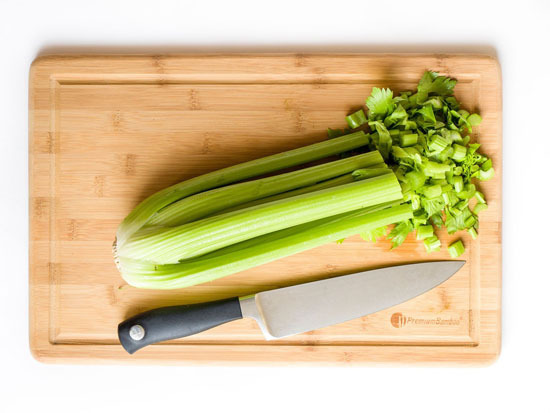 It’s a large cutting board that comes with a drip groove that collects juices from vegetables, meats, or fruits, making it easier to clean up. 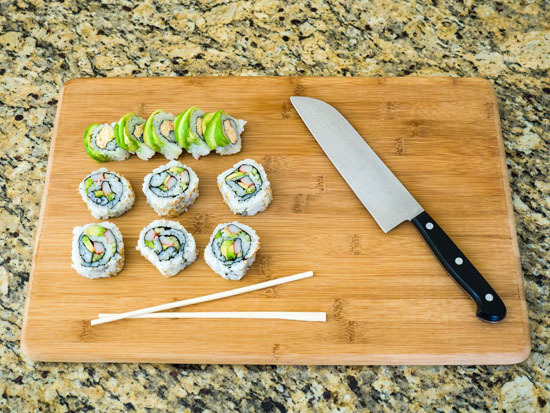 This cutting board is thick, strong, and durable, the kind of 100% antimicrobial bamboo board that won’t dull your knives. The natural and eco-friendly material is bio-degradable, the generous size can hold fruits, vegetables, and large sized meat with no problem. The less porous of bamboo means fewer spaces for bacteria to get trapped unlike those wooden cutting boards. Measuring 18-inchx12-inchx3/4-inch, this big cutting board can be easily cleaned using just soap and water, just wipe it clean.